If you love cats, appreciate cat antics or just like watching cat videos online, you should be listening to the Meowster Podcast. Each episode of the podcast explores a different hillarious cat topic from popular culture and current events. Download new episodes on the 1st and 15th of every month. 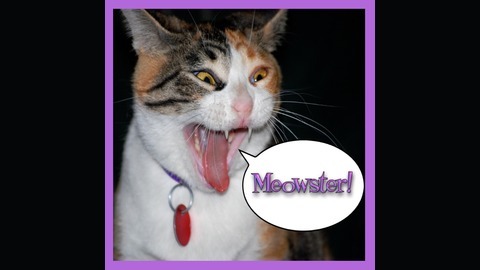 Like Meowster Podcast on Facebook to stay in touch between episodes. 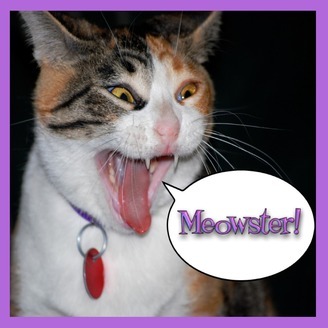 Learn more about the Meowster Podcast hosts: Rebecca Zisch is a cat behaviorist, writer and veterinary nurse. She is also the proud guardian of fluffy cat brothers Pergo and Colonel Lint. You can visit her counseling service and blog at Friends Forever Counseling and Like Friends Forever Counseling on Facebook. Tim Black is a voice actor and unashamed cat lover. He happily cares for chubby Harriet (our official mascot - whose meow can be heard at the end of every episode). Check out Tim's voice work at The Voice of Tim. Kitten Bowl V has come and gone. At this anniversary milestone in kitten sports, we break down the changes in presentation and game play and make clear our likes and dislikes. While female catletes continue to not get their due, there was some very fast paced excitement and heartfelt stories.